Atelier Bindery now has additional rebound books for sale; all volumes were originally published in the late 19th or early 20th century. 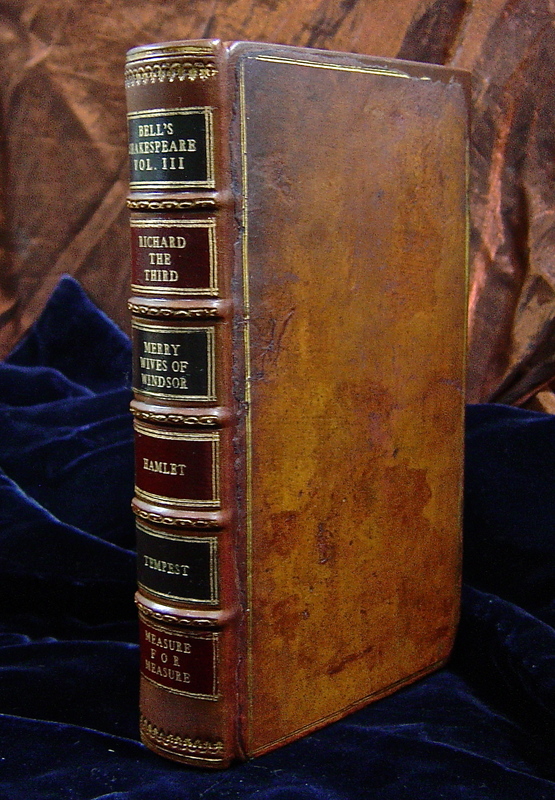 Each volume has been meticulously cleaned and restored with a new binding, using original cover material and illustrations whenever possible. New book cloth, leather and all new materials used coordinate with original color schemes of books and are acid-free to ensure longevity. 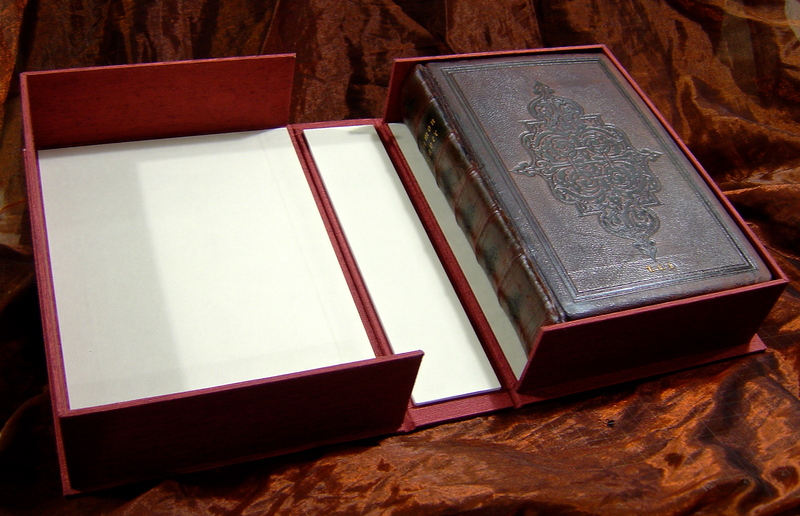 All volumes are sold complete with a custom flannel-lined slipcase to prevent dust and wear. Shipping available at cost. Please view web galleries for each volume available and call 715.358.5470 or email atelier.bookbindery@gmail.com for further inquiries. 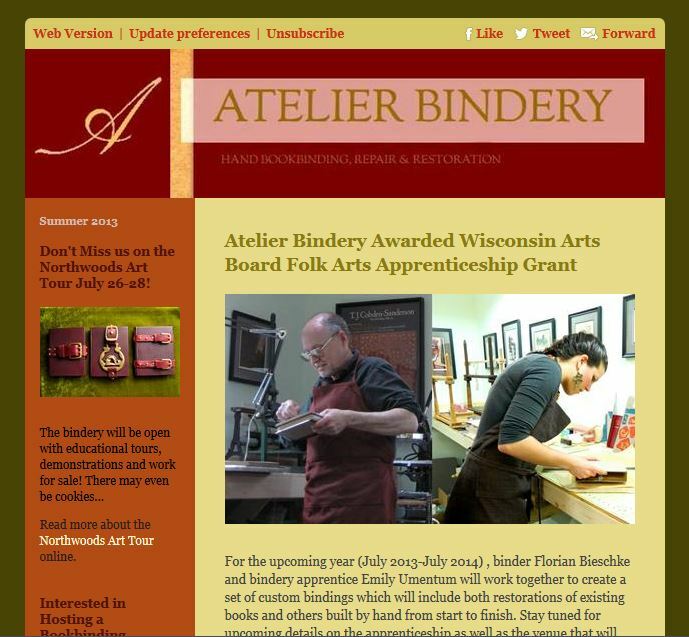 On October 25th at 7 PM at the Ce nter for the Visual Arts in Wausau, Atelier Bindery will present on the work produced over the last year under the Wisconsin Folk Arts Apprenticeship Grant. Join us for an evening exploring the traditional art of fine leather binding and restoration! There will be a presentation followed by a question and answer/ show and tell period where the public will have the opportunity to see and handle some of the fine bindings produced during the apprenticeship and the tools and materials used in the process. Please call the CVA at 715.842.4545 with any questions at and feel free to download/ forward the flyer below. 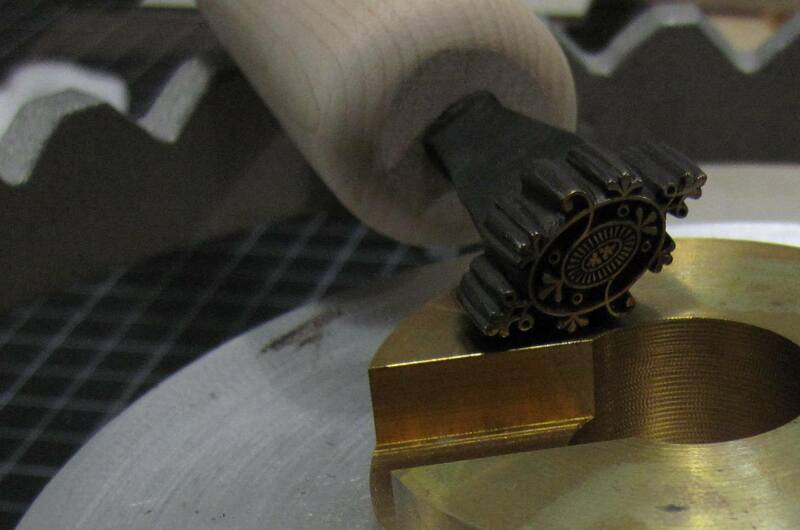 Of the many techniques to be learned in fine bookbinding, gold tooling is one of the most challenging. Not only does the binder have to contend with the tools and materials themselves (gold leaf is so fine, small pieces will float away in a draft and will absorb upon contact with skin) but the process is so exact, and requires a number of smaller skills to properly execute, that rarely does an impression come off perfectly. As Florian, head of Atelier Bindery, so often states, how ever, small imperfection is the mark of an authentically crafted book; complete perfection is something that only a machine can achieve. Imperfections are especially likely when, as at Atelier, one uses vintage brass tooling implements which have seen a century or more of use and are far from perfect in and of themselves. Especially on restoration bindings where a worn look is desired, vintage tools are always preferred to newly-minted ones. For this re-binding of a volume of Tennyson’s The Princess, the book was first bound on raised cords in hand-dyed calfskin. Click here to see the latest summer newsletter! 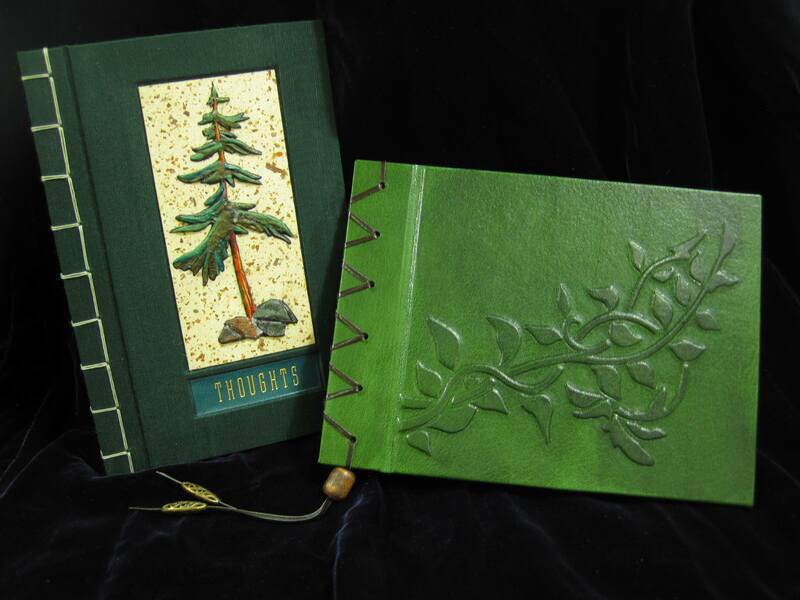 Atelier Bindery is now offering weekend summer project classes! Learn how to make a Japanese-inspired book and gain a wonderful introduction to the world of fine binding and design. Class participants will construct a cloth-covered book suitable for use as a journal, sketchbook or 4 x 6” photo album. Each completed project will reflect the character of its creator through the selection of materials used. Participants will also have the opportunity to create a custom dimensional cover design. This class will cover scoring and folding, adhesives, the properties of paper and board, measuring techniques, cutting, drilling and punching of varied materials and working with decorative papers and fine book cloth. Each book will use only acid-free binder’s papers, glassine, book cloth and board, ensuring that this project will last for generations to come. Book cloth and marbled papers in many colors are available to choose from; all other tools and materials are furnished at the bindery. All you need to bring are your ideas and enthusiasm to the workbench for this beautiful and unique summer class. Please call Emily Umentum at 920-360-9650 to reserve your space today; classes are limited to 4 students per session.